Inventory, whether that of raw material or finished products is an integral part of a successful business and its operations. Raw material stock ensures that the production goes unhindered and finished product is available to meet demand and requirement of the customers. However, maintenance and stocking up require heavy investment which might be difficult on an ongoing basis owing to cash crunch which is a common phase for businesses. In such cases, quick business loans could present an ideal solution. There are three types of loans that can help you in increasing your capital strength for stocking more inventory- Working Capital Loan, Equipment Loan, and inventory Loan. Working capital loan refers to a loan which is availed for meeting day to day operational expenses like daily wages, administrative expenses, rent, electricity, etc. Whenever the liquidity is tight, businesses opt for these quick business loans that are usually collateral free loans, which provide financial assistance to the business operations. With a working capital loan taking care of meeting daily operational requirement you can use the cash generated from business to buy and maintain high inventory levels. Purchase of the right kind of equipment, replacement of old worn out equipment and machinery with new, regular maintenance of existing machinery and up gradation of the old machinery is vital for a business to maintain a high level of efficiency. Good machinery translates into cost savings and economy of scales. But machinery needs investment and in most cases, it constitutes over eighty percent of total investment in a business. If a business would have to finance all its machinery by internal cash generation, then it would probably be unable to manufacture anything as all finances would be sucked by such equipment investment. In such cases, Equipment financing through collateral free loans can help tremendously. It reduces the cash crunch and helps business utilise its available resources to strengthen its business. 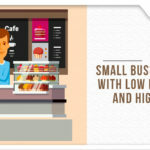 These small business Loans are specifically created to finance inventory requirements. Inventory loans help in meeting the seasonal requirements and peaks without affecting other regular operations of a business enterprise. This tailor made small business loans can help you strengthen your business operations and service your customer requirements without a hiccup. At times, businesses are in a position to bag a big order but have to refuse due to lack of funds. However, with inventory loan, one can process any large order as financial help is at hand. These three types of loans can elevate the business and take it to another level. Small and medium enterprises have been especially advantaged with the mushrooming of online lenders like FlexiLoans that let these businesses avail paperless, quick and transparent loans simply at a few clicks of a button.